Unassuming British bank clerk Eric Arthur Roberts threw himself deep into the WWII espionage community to flush out Nazi informants. Many times in war otherwise obscure individuals are called upon to take extreme risks in service to their country, and more often than any casual observer may ever know, the heroic deeds of these individuals remain in the shadows, forgotten footnotes or even totally lost due to the passage of time and the continuing sweep of history. 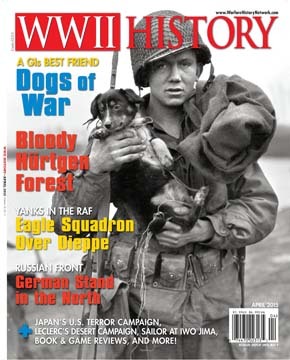 April 2015 edition of WWII History. Once in a while, however, the story of a “quiet” hero comes to light. Such is the case with Eric Arthur Roberts, a British bank clerk whose activities in the WWII espionage community became public only last October, with the release of previously classified files by his country’s National Archives in London. According to an Associated Press report, Roberts was a good, although not exceptional, employee of Westminster Bank when he was approached by Security Services in 1940. On the surface, there appeared to be no real reason for Roberts to be identified as a potential player in the web of espionage that existed in London during the dark days of the war with Nazi Germany. He was conversant in several languages, but knew only a little German and had been to Germany only twice before the war. Nevertheless, his boss agreed to assist the government, and Roberts disappeared for a while. When he returned he had taken on the persona of Jack King, a supposed Gestapo agent who was working under deep cover in London. King was asked to make contact with suspected German sympathizers who sought to pass intelligence information to the Nazis and convince these turncoats that he was a Gestapo agent. As King gained their confidence, assuring them that he would pass their information along to Berlin, he would then turn the potentially damaging information over to British authorities. 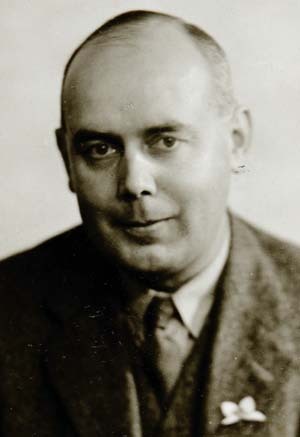 In one instance, a naturalized British citizen named Hans Kohout attempted to pass sensitive information to the Germans that could have compromised the air defenses of major British cities, increasing the devastation and loss of life wrought by the Luftwaffe during its infamous raids. When Roberts, aka King, gained Kohout’s trust and took the information from him countless lives were saved. Although the release of Roberts’s file after more than 70 years affords the opportunity to acknowledge this unsung hero of World War II, some tantalizing questions remain. How did he do it? The file contains little hard information on his methods and activities. And further, how many others like him served their country and the Allied cause, hardly expecting any acclaim or recognition in their quiet yet daring and audacious enterprise? A tip of the cap to Eric Arthur Roberts. Tags Eric Arthur Roberts, Gestapo, Hans Kohout, Jack King, Nancy Brown, WWII espionage.